The Lakes Distillery’s luxury bauble gift sets continue to fly sky high with the listing of their new ‘Spirit of Christmas’ baubles in World Duty Free and international award-winning on-line spirits retailer, Master of Malt. A surge in demand for the luxury baubles has resulted in shipments to USA states including: Arizona, Hollywood, Minneapolis, Chicago, Florida, Illinois, New York and Texas. Interest has also grown from the Ukraine, Germany, Netherlands and Russia. Working closely with the award-winning Master of Malt, international deliveries are meeting the increasing demand and fulfilling customer expectations. The Lakes Distillery gained its first listing in World Duty Free earlier this year. Manchester Airport, Liverpool Airport and Newcastle Airport listed The Lakes Gin 70cl, along with airports in Australia and New Zealand listing 3 of the award-winning spirits in their airport retail outlets. The airport listings will see customers arriving and departing via the airports being introduced to The Lakes Distillery brand, gifting and spirits portfolio. The ONE British Isles Blended Whisky launches into UK World Duty Free in January 2018. The ‘Spirit of Christmas’ range gained viral status in October after social media and entertainment company, Ladbible’s video of the baubles received over 7.7 million hits, creating a surge in sales. The Lakes Distillery’s eagerly anticipated ‘Spirit of Christmas’ Baubles, are 5cl and 20cl baubles which have been lovingly hand-filled with the award-winning spirits. 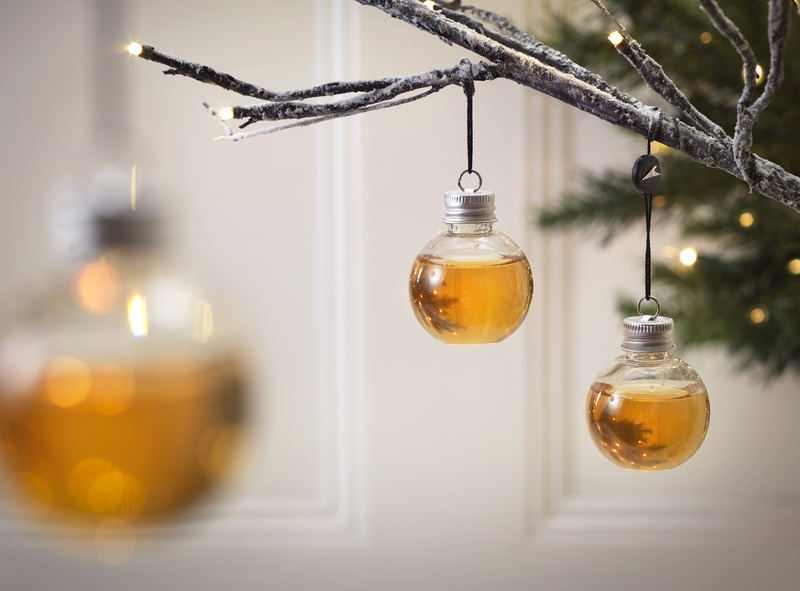 The range includes a selection of single 20cl baubles with exquisite ribbon containing either The Lakes Gin, The Lakes Vodka or The ONE British Isles Blended Whisky. Also available are gift sets containing six 5cl baubles filled with the spirits of The Lakes Distillery, with a whisky set, a vodka set and a gin set. The vodka and gin sets include an exclusive collection of the distillery’s new flavoured vodka and gin liqueurs. The Lakes Distillery is Cumbria’s only distillery producing The Lakes Gin, The Lakes Vodka, The ONE (a British Isles Blended whisky) and what will become a signature spirit, The Lakes Single Malt (first bottling due in 2018). Opened in December 2014, The Lakes Distillery is housed in a beautiful restored Victorian cattle farm, with an award-winning Michelin Guide on-site Bistro. As one of the ‘best distilleries in the world’ (Time Out, New York), The Lakes Distillery is a first-class destination in its own right having won the Spirits Business Award for ‘Best Visitor Facilities at a Whisky Distillery in the World’ in 2016 and 2017. This press release was distributed by ResponseSource Press Release Wire on behalf of Visualsoft in the following categories: Men's Interest, Entertainment & Arts, Leisure & Hobbies, Home & Garden, Women's Interest & Beauty, Food & Drink, Business & Finance, Travel, Retail & Fashion, Manufacturing, Engineering & Energy, for more information visit https://pressreleasewire.responsesource.com/about.